If you've wondered where I've been, sorry; it's been a busy week. 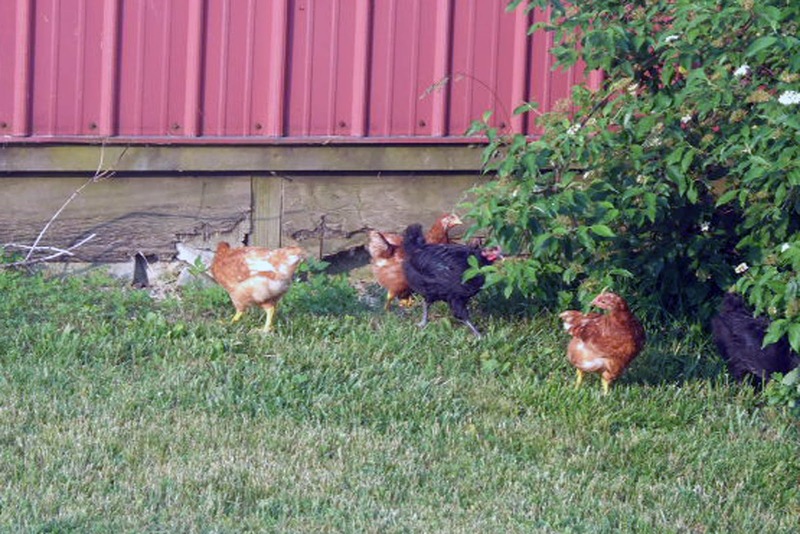 A very nice family gave us some awesome ISA Brown pullets (the red ones), and a raccoon promptly ate three of them, plus a couple of ours, all in one night. We decided we weren't going to take it any more. 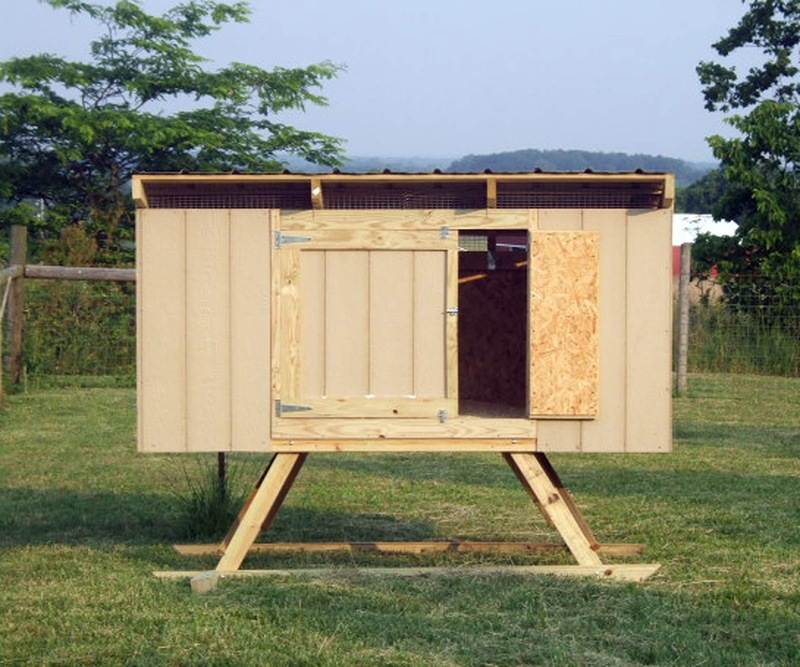 I started carrying all the pullets into the barn and putting them in our travel crate for the night every night, and my husband got to work designing a predator-proof pullet house, and we've been working on it all week. Christened the "Baba Yaga Chicken Hut" (I am SO going to paint those legs yellow), this baby has stilts to keep diggers out, a floor made out of the same stuff they use to build houses, exterior house cladding for walls, a metal roof, and the vents are covered in the toughest hardware cloth we could find. There are no gaps in this baby bigger than 1/2 an inch wide. The door is split so that we can open it wide to clean it or just open a smaller area for the chickens to get in and out. 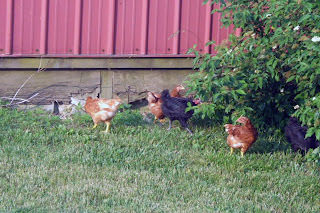 We still need to make a ramp for birds to walk in and out, but the older pullets spent the night inside last night, and didn't seem to mind flying out in the morning.